Mountain bike races at the Vysočina Aréna just finished. And it was a successful event, indeed: in the past two weekends, organizers led by Petr Vaněk prepared the third race of the UCI XCO World Cup series and the third race of the Czech Cup XCO. Both events were successful as far as number of spectators is concerned, some records were broken, and the races received very positive feedback from both journalists and racers. 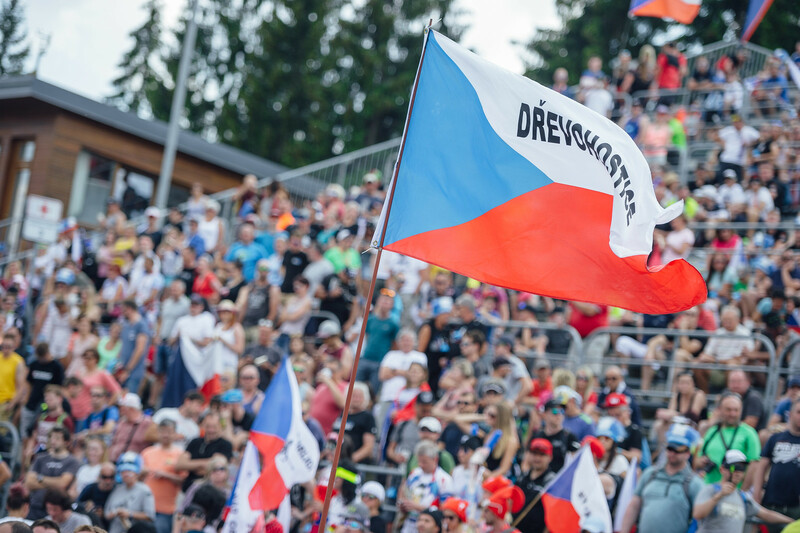 So far, a MTB World Cup series race has been organized seven times on the track in the vicinity of Nové Město na Moravě, and all previous six races were announced as the best event of the particular year. “I do believe that this year’s race will be spoken highly of. We have introduced several innovations that added to attractiveness of the races,“ Petr Vaněk said, referring to the slight shortening of the course that increased the dramatic factor of both main races. The events were described to the media by 136 accredited journalists. Czech Television broadcasted 11 hours of live coverage of the races. “As far as television audience is concerned, Sunday’s races were number 2 and 3 in the TV programme at the weekend. Of course, the Champions League finals between Real Madrid and FC Liverpool topped everything. The men’s race was watched by 87 thousand people on average (coverage of up to 256 thousand), the women’s race had the audience of 70 thousand (coverage of up to 210 thousand),“ said Tomáš Lachman, the speaker who commented the races on television. The prestige of Nové Město was also proven by the fact that it was here that the Japanese producer of cycling components, Shimano, had the world premiere of the XTR range. Czech Cup XCO broke records in the number of participating racers. On June 2 and 3, nearly thousand of them in several categories started into the races, and created historical record of the greatest number of racers in a Czech Cup cross country race.